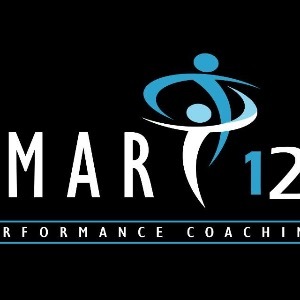 Smart121 is dedicated in providing Smart efficient multi-sport coaching. I take pride in providing bespoke coaching packages that meets your demands with work, family and lifestyle. I understand that every athlete is unique and has different needs and what makes one athlete tick, may not another. I believe that Time Efficient training is what is required to balance your commitment to your chosen sport but most importantly your lifestyle. Watt bike Test offered to analyse and assess performance. My coaching philosophy is to impart my corporate knowledge, experience and passion for cycling and triathlon to assist others to improve their goals and objectives. I believe that all athletes are different and have different needs and goals; therefore each athlete will have different training and coaching requirements. I have extensive experience in road racing and triathlons at all distances both competitively and for leisure for over 20-years; our passion and drive is unsurpassed and we thrive on passing on our knowledge and expertise to others. Your training plans are bespoke, based on your physiological goals, experience and time constraints. My goal as coach is to baseline your current fitness levels before any block of training, then re-test at regular intervals to evaluate whether the prescribed training is meeting your needs and giving you the physiological gains we realistically expect. I believe that the mind is often more powerful than one may think and using basic psychosomatic skills, a rider can achieve better results. I am firm believers that the coach-to-athlete relationship is fundamental to any success; in that honesty, commitment and loyalty is crucial in order to achieve the desired outcome. With the correct motivation, commitment all athletes can make improvements yet this will depend on your physiological genetics and current fitness level as to the gains achieved. Focussing on marginal gains in order to facilitate performance in all areas. Success. Coach Marc Preece has been notified of your message.